The Carol Buck Graduate Scholarship in Epidemiology was established to honour Dr. Buck, whose affiliation with the Department of Epidemiology & Biostatistics was from 1952 to 2004. Throughout her career, Dr. Carol Buck’s work demonstrated a passionate commitment to advancing human health. Using rigorous methods of epidemiology to identify and correct the causes and determinants of ill-health, she became an international leader in the discipline. Carol’s colleagues and former students respected her amazing clarity of thought and communication. 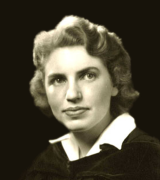 She was a gifted teacher who had a significant impact on many graduate students, medical students and colleagues. The scholarship is awarded following the annual Carol Buck lecture. 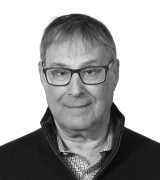 Dr. Allan Donner is Professor Emeritus in the Department of Epidemiology and Biostatistics at Western University and Biostatistical Scientist at Robarts Clinical Trials. He did his undergraduate work at the University of Manitoba and obtained his doctorate degree in Statistics from Harvard University, followed by four years at the Channing Laboratory, Harvard Medical School. He served as Chair of the Department of Epidemiology and Biostatistics at Western from 1987 to 2003. Dr. Donner's methodological research includes extensive contributions to the design and analysis of clinical trials, including many publications in leading journals, frequent invited presentations, ,and service on numerous Data Safety and Monitoring Committees. His interest in cluster randomization trials has led to his participation in several perinatal epidemiology trials sponsored by the World Health Organization and trials of vaccination strategies designed to prevent typhoid and cholera in developing countries. He is also co-author (with Dr. Neil Klar) of the book “Design and Analysis of Cluster Randomization Trials in Health Research” (Wiley, 2000), the first text in this field that focused exclusively on randomized trials conducted in the Health Sciences. Over the last ten years Dr. Donner has been a member of several Health Canada Advisory Committees, including the Committee on Pharmaceutical Sciences and Clinical Pharmacology. He is currently a Fellow of the American Statistical Association, the Canadian Academy of Health Sciences and the Royal Society of Canada. The 2019 Allan Donner Lecture with Dr. Brian G. Feagan, Professor of Medicine, Division of Gastroenterology, Departments of Medicine and Epidemiology and Biostatistics, Western University, and Senior Scientific Officer, Robarts Clinical Trials, Inc.